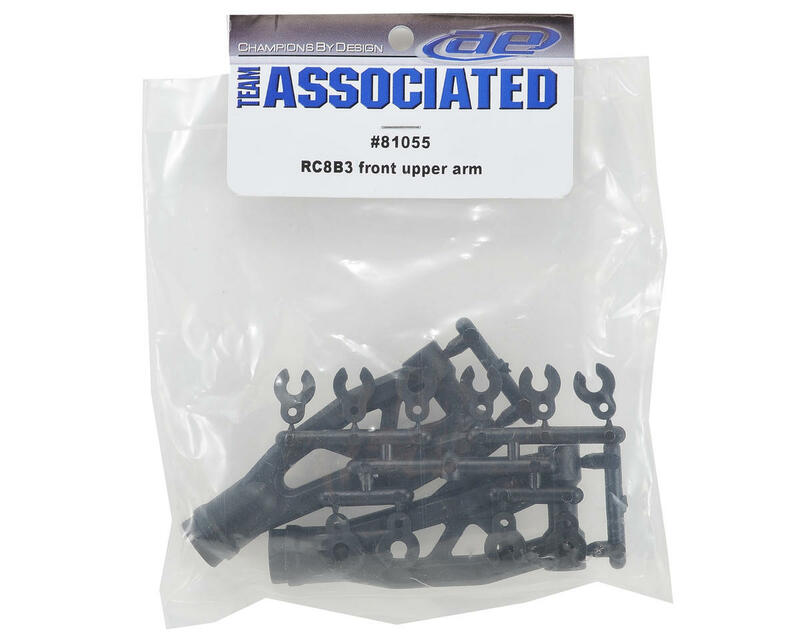 This is a replacement Team Associated Front Upper Arm Set, intended for use with the Team Associated RC8B3 Nitro Buggy. 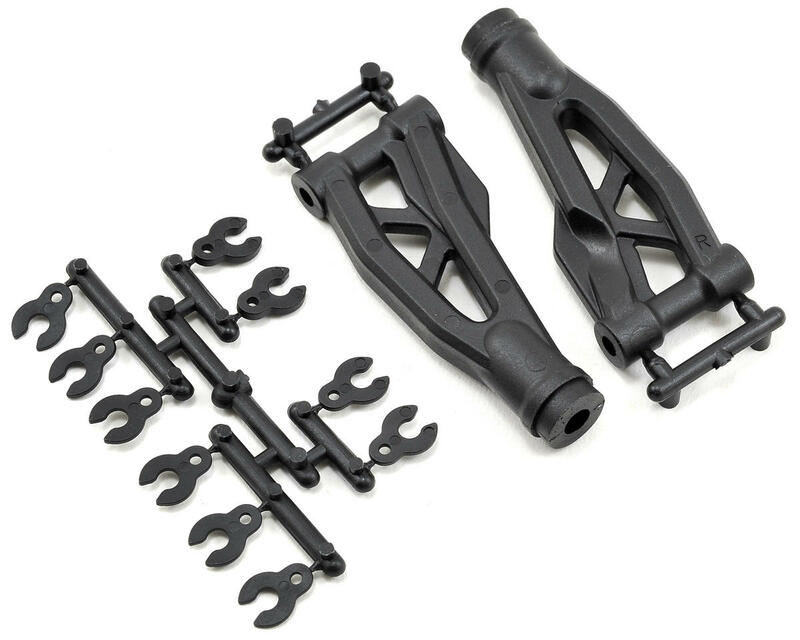 This set includes one left and one right side arm, plus upper hinge pin inserts that allow the caster to be adjusted by moving the upper arm back and forth. Note: These arms are directional, with a right and left side.